SANTA CLARA, Calif.--(BUSINESS WIRE)--McAfee (the “Company”), the globally trusted security provider, announced today that it has begun operating as a new standalone company. As a standalone business, McAfee is one of the world’s largest pure-play cybersecurity firms. Built on the belief that “Together is Power,” the new McAfee will expand upon its leading security solutions platform to better enable customers to effectively identify and orchestrate responses to cyber-threats. The launch of McAfee marks the closing of the previously announced investment by TPG and Intel Corporation (INTC) to establish a pure-play cybersecurity company with access to significant capital, operational and technology resources. Additionally, McAfee announced that leading private equity investment firm Thoma Bravo has joined, as a minority investor in the Company, through an agreement with TPG. As previously announced, Intel is retaining a 49 percent equity stake in the new entity. With the help of its new investment partners, McAfee will apply greater market focus, build its platform and target new financial, operational and technology investments to better address the cybersecurity market’s significant global growth opportunity. Intel Senior Vice President and General Manager Chris Young will lead the new McAfee as Chief Executive Officer. TPG Partner Bryan Taylor has been named Chairman of the Board. The company also outlined a new strategic vision, focused on innovation, trust, and collaboration. McAfee represents more than 7,500 of the industry’s most talented cybersecurity professionals, while holding more than 1,200 security technology patents and ongoing industry recognition for its products. McAfee is also home to McAfee Labs, one of the world’s leading sources for cyber-threat intelligence. McAfee’s people, technology and insights enable McAfee solutions to correlate real-world data collected from millions of sensors across key threat vectors and inform the next generations of McAfee product innovation. From the moment the first worm was unleashed on the internet in 1988, to the massive 2016 Mirai distributed denial of service (DDoS) attack, the cybersecurity industry has witnessed exponential growth in the volume and variety of cyber-threats. For the last three decades, McAfee has earned the trust of consumers, businesses and governments by delivering practical solutions to address these threats. Today, McAfee’s award winning products and solutions today protect more than 74.9 million endpoints daily, including 87% of the world’s largest banks and Fortune 100 firms and more than 263 million consumer endpoints. McAfee believes in the power of working together—only when people, technology and organizations work together can we become safer. The McAfee Security Innovation Alliance, the industry’s premier technology partnering program, boasts more than 135 partners globally. Over the past year, more than 30 partners have integrated or planned integrations with the McAfee Data Exchange Layer (DXL), the industry-endorsed communication fabric providing real-time interaction between applications. Goldman Sachs, & Co., Morgan Stanley & Co. LLC, RBC Capital Markets, and UBS Investment Bank served as financial advisors to TPG and Thoma Bravo, and Allen & Company LLC served as financial advisor to Intel. Ropes & Gray served as legal advisors to TPG, Skadden LLP, Arps, Slate, Meagher & Flom served as legal advisors to Intel, and Kirkland & Ellis served as legal advisors to Thoma Bravo. For more information, please visit the McAfee Press Kit. TPG is a leading global alternative asset firm founded in 1992 with more than $74 billion of assets under management and offices in Austin, Beijing, Boston, Dallas, Fort Worth, Hong Kong, Houston, Istanbul, London, Luxembourg, Melbourne, Moscow, Mumbai, New York, San Francisco, São Paulo, and Singapore. TPG’s investment platforms are across a wide range of asset classes, including private equity, growth venture, real estate, credit, and public equity. TPG aims to build dynamic products and options for its investors while also instituting discipline and operational excellence across the investment strategy and performance of its portfolio. For more information, visit http://www.tpg.com/. Thoma Bravo is a leading private equity firm focused on the software and technology-enabled services sectors. With a series of funds representing more than $17 billion in capital commitments, Thoma Bravo partners with a company’s management team to implement operating best practices, invest in growth initiatives and make accretive acquisitions intended to accelerate revenue and earnings, with the goal of increasing the value of the business. Representative past and present portfolio companies include industry leaders such as Blue Coat Systems, Deltek, Digital Insight, Global Healthcare Exchange, Hyland Software, PowerPlan, Riverbed, SolarWinds, SonicWall, Sparta Systems and TravelClick. The firm has offices in San Francisco and Chicago. For more information, visit www.thomabravo.com. 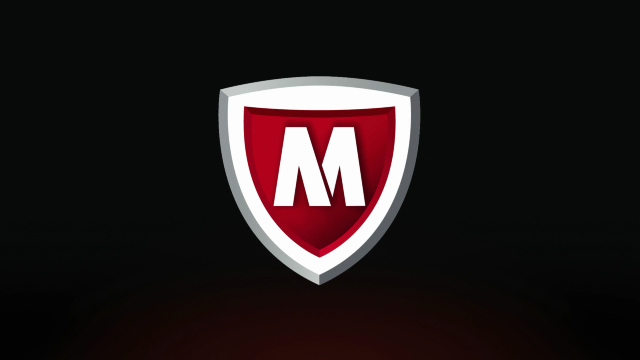 McAfee and the McAfee logo are trademarks of McAfee LLC in the United States and other countries.